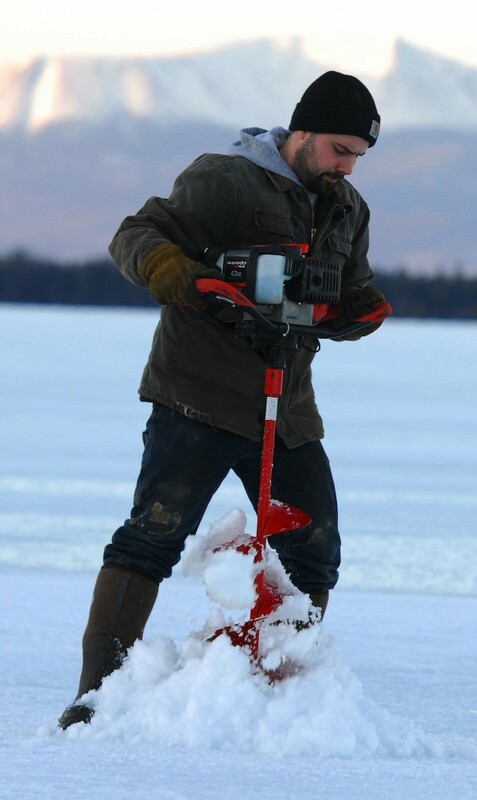 Nick Elliott of Corinth drills through the ice on March 9, 2013, clearing the way for an evening of cusk fishing on Upper Jo Mary Lake. Mount Katahdin looms in the background. Welcome to the 2014 ice fishing season. The Maine Department of Inland Fisheries and Wildlife will be providing these reports every two weeks through winter into the beginning of March. 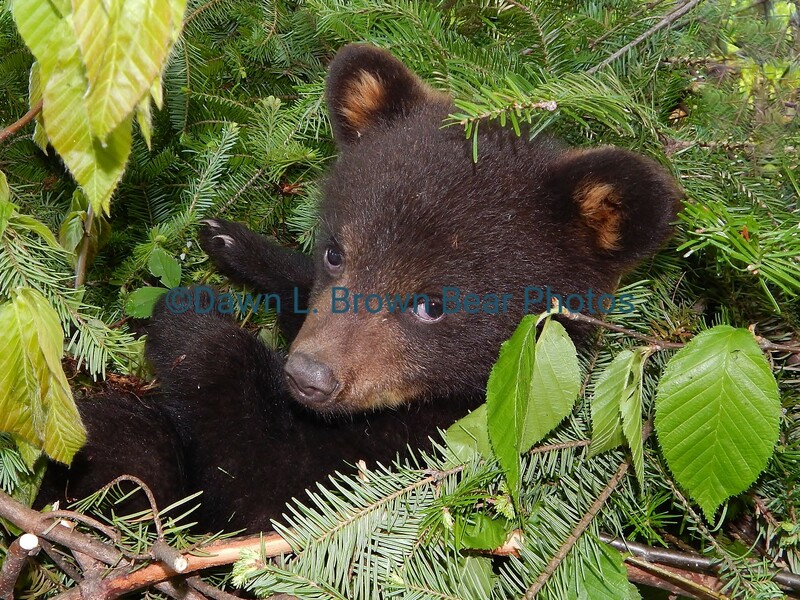 If you haven’t purchased your license yet, 2014 licenses are available online at mefishwildlife.com. Also, the 2014 fishing lawbook is also available where you buy your licenses or at your favorite sporting goods store. Anglers should also be aware of a new law that bans the use of lead sinkers that are shorter than 2 1/2 inches in length or if they weigh less than an ounce. As always, consult the law book before fishing your favorite water, and stay safe while out on the ice. The cold weather has many anglers taking advantage of the early season opportunities for brook trout. There are a variety of lakes and ponds in southern and coastal Maine that allow the use of live bait and the harvest of trout prior to Jan. 1, 2014. “We are encouraging people to fish waters that are labeled ‘D’ in the rulebook. These are managed for early winter opportunities for brook trout,” says DIF&W fisheries biologist Francis Brautigam. With so many options, Brautigam says you may want to prioritize. Try the Otter Ponds in Standish, Worthley Pond in Poland, Halls Pond in Paris, Moose Pond in Acton and Simms Pond in Newfield. “After brook trout, I’d target splake and salmon. Waters that have either splake or salmon you want to fish early. Rainbows are slow biters, and fishing tends to be more consistent throughout the season,” said Brautigam. He also noted the department is testing several new strains of brown trout in region waters; checking to see if they may provide more action for anglers. The department will survey anglers on these waters to determine if these different strains of brown trout provide better fishing. York County ice anglers who want to introduce their children to fishing would be well served to try out the pond at the York County Fish and Game Club in Lyman. This is a youth fishing/complimentary license pond, and provides excellent opportunities for young anglers. Ice anglers are active in Region B, taking advantage of the cold weather and recently stocked ponds. This past year, Region B biologists reviewed their stocking data, and are reallocating fish to smaller waters where they expect anglers to have more success. Anglers also may want to head over to Jamies Pond in Manchester, which is now open to ice fishing. “That’s another pond we stocked with ice fishing in mind. There’s three age classes of brook trout in Jamies Pond,” said Seiders. The season on Jamies opens on Jan. 1, 2014, when you can expect to find trout from the fingerling size up to four pounds. Anglers will also want to try Dutton Pond in Knox, and Sanborn Pond in Brooks. Both were also stocked with multiple ages of brook trout, and also some retired brown trout broodstock. Seiders said that some of the brown trout weigh up to 10 pounds. Young anglers will also want to mark Feb. 1, 2014 on their calendars to head over to Wiley Pond in Boothbay. The department worked with the Boothbay Region Fish and Game Association to reopen the pond to ice fishing and it will be open to youth anglers/complimentary licenses with a two line limit, and no use of live fish for bait. The pond was heavily stocked this fall, and should provide fast action for young anglers. This season, Downeast anglers will have opportunities they haven’t seen in years. Jones Pond is open now, but it is artificial lures only, and catch and release for all trout. Starting Jan. 1, 2014, anglers will be able to keep rainbows. “People who are familiar with fishing through the ice for rainbows say that the best way to fish for them is with worms. A lot of times they don’t respond well to shiners,” said Burr. Parents who want to take their kids fishing this holiday break, should head over to the youth waters at Foxhole Pond in Deblois and to the Penobscot County Conservation Association in Brewer. At Foxhole, there are three different ages of stocked trout, including some very large brood stock. Burr mentioned that there is a local taxidermist that has done many mounts over the years for kids who were lucky enough to catch one of these large fish. If you are looking to catch a large brood stock salmon, try these lakes: Pleasant River in Beddington; Mopang Lake in Township 29; Lower Springy Pond in Otis; Brewer Lake in Orrington; and Hopkins Pond in Mariaville. Many of these ponds also have stocked trout, as well. Landlocked salmon anglers will want to check out Cathance Lake in Cooper, Branch Lake in Ellsworth, Gardner’s Lake in East Machias, Long Pond on Mount Desert Island, Beech Hill Pond in Otis, Donnell Pond in Franklin and Tunk Lake in Township 10 SD. If you are looking for togue, head to Green Lake in Ellsworth which regularly produces togue over 10 pounds, Branch Lake in Ellsworth where Burr encourages the harvest of togue and there is no size or bag limit on togue under 23 inches, Tunk Lake, West Musquash in Tallmedge, Pocumcus Lake, Phillips lake in Dedham and Beech Hill Pond. Brook trout will be found at Lakewood Pond in Bar Harbor, Round Pond in Someville, Eagle lake in Bar Harbor, Montegail Pond in Township 19, Indian Lake in Whiting, Keely Lake in Marshfield and Schoodic Lake in Cherryfield. Lovejoy Pond in Township 35 just opened this season to ice fishing, and the trout stocked there this fall are in the 12-16 inch range. Anglers looking for a little adventure and the road less travelled out to head to three different ponds in Township 10 near Tunk Lake. “For the people who make the effort to hike into these ponds, it will be well worth the effort,” said Burr. In Region D, there are several options for early season ice fishing. Anglers who are looking for waters to ice fish prior to Jan. 1, 2014 should look for waters marked A in the northern counties section of the law book. Popular early season ponds also include Norcross Pond in Chesterville and Roxbury Pond in Roxbury; others include Parker Pond and Sand Pond in Chesterville. Most of the ice fishing ponds in this region open up Jan. 1, 2014. One of the more popular destinations early season is the Chain of Ponds north of Eustis on Route 27. The department stocked 1,400 brook trout there this fall. Anglers should remember that this is a flowing water, and the ice can get thin in the narrows and around points. If you are looking to fish some of the bigger waters in the region, check out Webb Lake in Weld, Wilsons Lake in Wilton, Embden Pond in Embden and Wesserunsett in Madison. Smaller waters you may want to check out include Clearwater in Industry, Ironbound in Solon and Wilson’s Lake in Wilton. Another favorite in this region is Spring Lake, just north of Flagstaff Lake in Township 3 Region 5. We have already seen a flurry of ice fishing activity on our smaller ponds like Fitzgerald Pond and Prong Pond, both of which are stocked with 12-14 inch brook trout in late fall to provide some early ice fishing action. To the south of us, Brann’s Mill Pond and Harlow Pond should be fishing well as we approach the traditional start of the ice fishing season. Drummond Pond in Abbot is open to kids only and is also stocked just before the ice forms in the fall. One of the hottest early season favorites is Big Wood Pond in Jackman. The pond is stocked with splake and brook trout (including some adults) and even an occasional salmon is caught. Access is very easy, with plenty of parking in this friendly town and snowmobile trails onto the lake. This is a terrific place to take the family to catch a limit in January. We’ve been riding the wave of big brook trout on Moosehead Lake for the past several years. It is unclear how long it will last, but we’ve seen and heard of many trophy trout from Maine’s largest lake recently. The best trout fishing is early in the season and anglers should be tight to shore amongst the rocks. Don’t forget the 7th annual Moosehead Lake Togue Derby which will be held Jan. 24-26, 2014. It is a great opportunity to win prizes while helping control the lake trout population in the lake. As always, check the ice before venturing out in unfamiliar territory. No fish is worth a surprise dip in the lake this time of year. Like most of the state, ice fishing came early to Region F.
“A lot of years we are wondering if we will have good ice on Jan. 1, but Cold Stream Pond iced up over a week ago, weeks ahead of normal,” said DIF&W fisheries biologist Nels Kramer, who added that a lot of area waters were buttoned up. Two popular destinations for ice fishing include Seboeis Lake in T4 R9 and Endless lake inT3 R9. There’s good access to Endless by snowmobile. Another option is Schoodic Lake in Brownville. Wintertime offers some very good landlocked and brook trout fishing on the lake. DIF&W staff will be conducting creel census surveys on Schoodic, Seboeis and Endless this season. If you want to head a little further north and east, Matagamon Lake, East Grand and Pemadumcook Lake all offer good ice fishing opportunities for trout, salmon and togue. Perhaps more importantly, due to the cold weather, it looks as though this season, anglers will have a variety of lakes and ponds they can choose from for ice fishing. It may be early in the ice fishing season, but anglers are taking advantage of fishing opportunities at Scopan Lake and Mud Pond in Linneus. Both were stocked heavily with brook trout earlier this season, and anglers are out enjoying the early season ice conditions. Other ponds for those looking to get out early include Arnold Brook Lake in Presque Isle, and Hodgdon Pond in Hodgdon. Arnold Brook has excellent brook trout fishing and a two trap limit, and Hodgdon Pond is stocked with brown trout. “We have seen a lot of people out on our early waters and they are catching fish,” said DIF&W fisheries biologist Frank Frost. Many in the area, however, look forward to Jan. 1, 2014 and the traditional opening of ice fishing season. “Our ice conditions are pretty good, we have five to nine inches of ice on a lot of our lakes,” said Frost. Already there is up to a half a foot of ice on portions of Long Pond and Square Pond. That’s good news for anglers, since the past several years, both of those ponds have had somewhat sketchy ice conditions on opening day. In southern Aroostook, Nickerson Lake in New Limerick has both browns and brookies, and Drews Lake in Linneus offers both browns and splake. Anglers may also want to test Spaulding Lake in Oakfield for brook trout.